Here you'll find details of Deb's deals and special offers that are available through Weston Cruise and Travel. If something catches your eye, please get in touch with us - we don't want you to miss out! Remember you can also tune into 2CC - 1206 every second Monday, and hear Emma and Deb chat all things travel! Imperial Treasures unravel the mysteries of one of the most captivating corners of Asia. Mingle with merchants at Hong Kong's famed Stanley Market. Learn the nuances of Taiwan from a local. Hear about the recovery of Nagasaki and Hiroshima from residents who connect you to their rebirths. Witness Busan's bustling South Korean culture and make sense of the dazzling cultures of Shimizu and Tokyo with the help of those who live there. Overnight stays in four ports let you delve deeply. Last day of Viking Explorer sale! Must book today to secure your specials on this fantastic itinerary for 2020 or 2021. There is nothing quite like the roar of thousands of rugby fans cheering for their favourite team, filling a stadium with passion and resonance. You could be a part of the jubilant crowd at the 2019 Rugby World Cup™ in Japan, cheering the Australian National Rugby Team to victory. Booking one of the Rugby World Cup™ 2019 tours from Australia will allow you to support your favourite team through the highs and lows of their world cup journey in one of the world’s most iconic countries, Japan. All you have to do is bring your passport; we’ll professionally organise the rest. There's no doubt that rail journeys are one of the most efficient and exciting ways to travel. The railways of China, Japan and South Korea have opened up the world to adventure seekers who want to experience the pleasures of life in a comfortable, convenient and relaxing way. Rail journeys transport us into the past when trains were the common way to travel. Sit back and relax as incredible landscapes constantly change outside your window, and enjoy a Travelmarvel experience like no other. Travelmarvel have just released a new 2020 program with exciting new itineraries and Early Bird offers. Private verandah • House spirits, international beers and wines • Bottled water, soft drinks, specialty coffees and tea• AzAmazing Evenings® event (on most voyages) • Shuttle service to and from port communities, where available • Gratuities • Self-service laundry • Concierge services for personal guidance and reservations • Plus, additional amenities for suite guests. Hurry, the 2019 Christmas and New Years sailings are selling fast! Why not embrace the cold weather this year and travel to New Zealand for their ski season and soak up all of what it has to offer? We can package together Ski Holidays, Winter Driving Holidays or just a winter weekend getaway with fireplaces, spas and fabulous places to wine and dine. Save on selected 3, 4 & 7 night cruises! Discover the spectacular South Australian outback, its unique flora and fauna, the rich legacy of old riverside ports and indigenous culture aboard the PS Murray Princess. Step aboard the newest rail experience in Australia, the Great Southern, and prepare to explore a very special region in unparalleled style. Crystal’s elegant journeys are defined by stunningly stylish ships, epic land adventures and a level of six-star service simply unrivalled in luxury travel today. 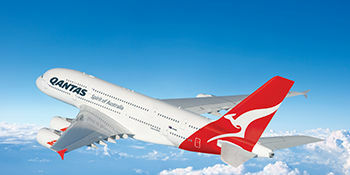 Are you already a Qantas club member or is your membership up for renewal? Why not be a part of Weston Cruise & Travel's Scheme to have a reduced rate for your annual club membership?